The U.S. economy continues to grow, but slow wage growth is pushing more consumers to take on debt to keep up. A new report from Bankrate shows there is a distinct income divide when it comes to debt, with lower income homeowners often resorting to taking equity out of their homes to make ends meet. The report focused on the growing amount of home equity consumers enjoy, but it revealed that not everyone is using it. Higher income homeowners are less likely to take out equity. Among those who are tapping into the value of their homes, consumers in lower income brackets tend to do so to pay current bills. In the survey, lower-income households — those earning less than $30,000 a year — were almost twice as likely to view home equity as a means to pay household bills as they next-highest income group. The more money a household earns, the less likely it is to consider using a home equity loan or cash-out refinance to pay bills. “With the sorry state of emergency savings and increasing levels of consumer debt in a rising interest rate environment, it’s a matter of ‘when’ not ‘if’ more homeowners turn to home equity to fund home improvements and repairs, or consolidate debt,” said Greg McBride, Bankrate's chief financial analyst. McBride says the survey shows nearly one in six consumers believes that it's sometimes necessary to tap home equity to pay household bills. He says it shows just how far some households are stretched on a monthly basis. Consumers are also going into debt in other areas. 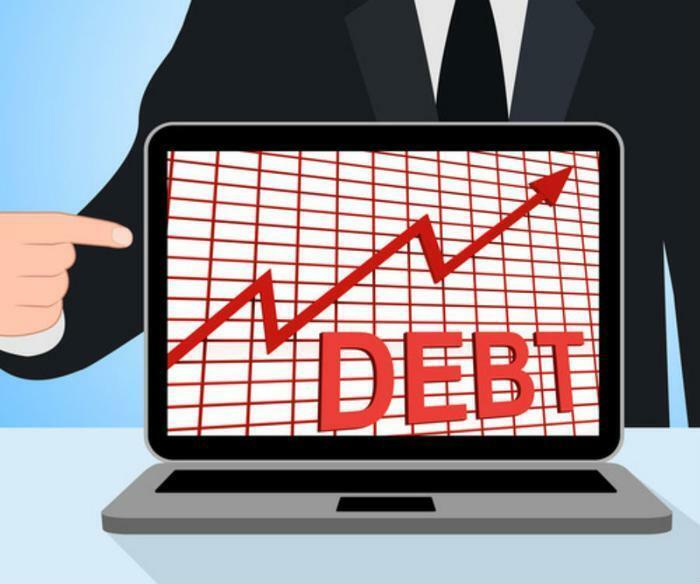 An analysis by the Center for Microeconomic Data at the Federal Reserve Bank of New York shows non-housing debt rose 4.3 percent in the second quarter to $3.86 trillion. Much of the debt is going on high-interest credit cards. A new study by personal finance site WalletHub shows consumers added $29.8 billion in new credit card debt to their accounts in the second quarter of this year, the fourth-largest second quarter increase on record. "We also began the year owing more than $1 trillion in credit card debt for the first time ever, after adding a post-Great Recession record of $91.8 billion to our tab in 2017," the report's authors write. The research also shows consumers appear to be struggling to pay their rising debt load. The charge-off rate on delinquent credit card accounts reached 3.74 percent in the second quarter, up nearly 2.7 percent year-over-year and the highest point since 2012. A companion report shows the Federal Reserve policy of raising the federal funds rate is increasing the debt burden since that key rate influences the interest rate on credit cards. Every time the Fed hikes rates most credit card payments also rise.